An old southern favorite. 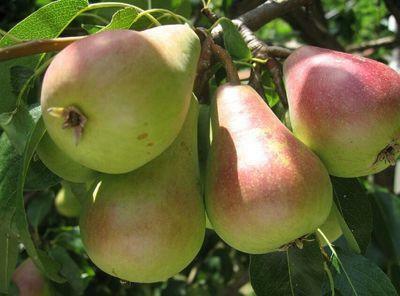 The fruit are yellow with a red blush. The flesh is smooth and melting with a very sweet flavor. The tree is vigorous, upright and fire blight resistant. The blooms are partially self-pollinating, but better crops will develop pollinating with another high chill variety like Bartlett or Blake's Pride. Ripens late July to early Aug.